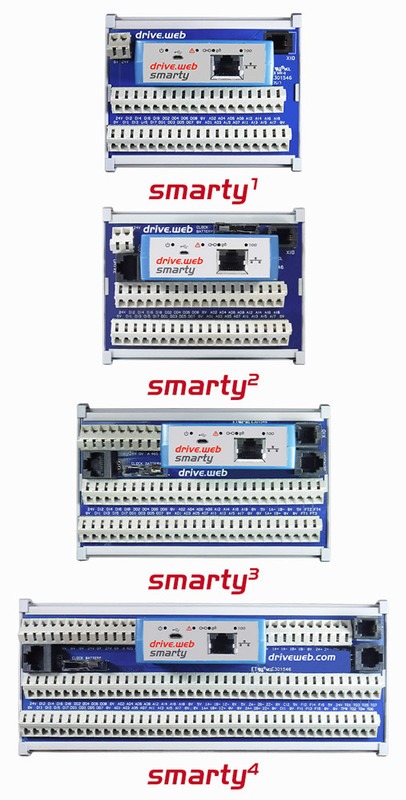 A family of networkable, DIN rail mounting, programmable controllers with digital and analog I/O. 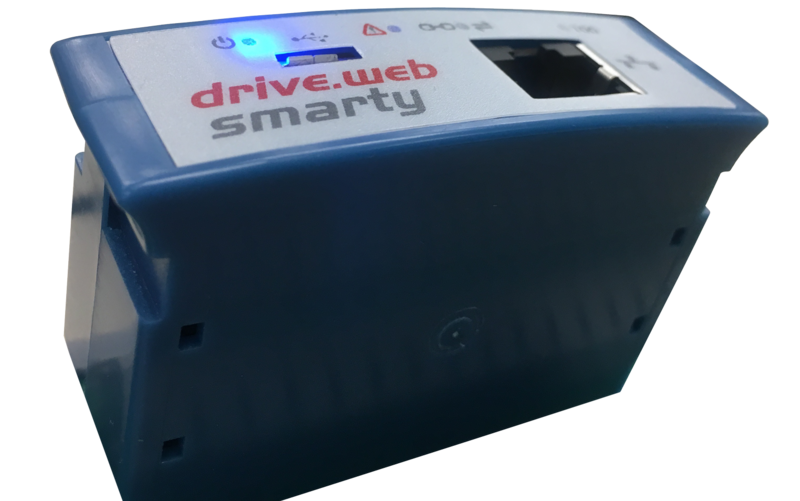 drive.web smarty UACs are offered in a variety of configurations . . . 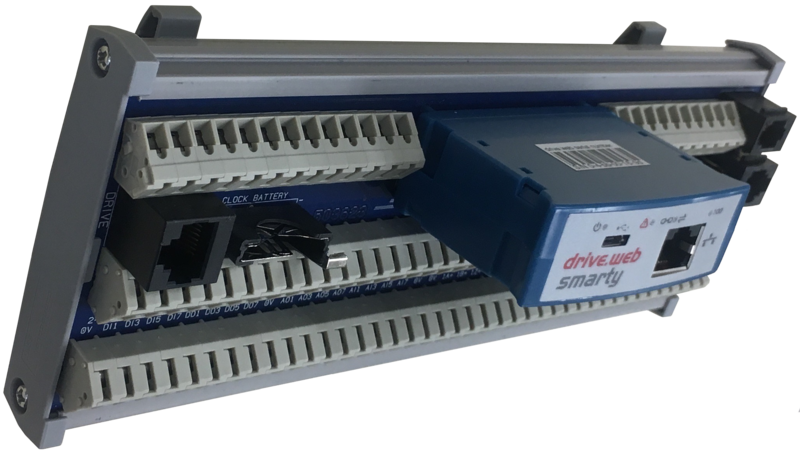 Install a dw240 on the customer interface terminal rail to save on wiring and installation costs! Floating point math for accurate and complex calculations. Count and Frequency with 64-bit count for precision positioning; to 1MHz input, 500kHz output. 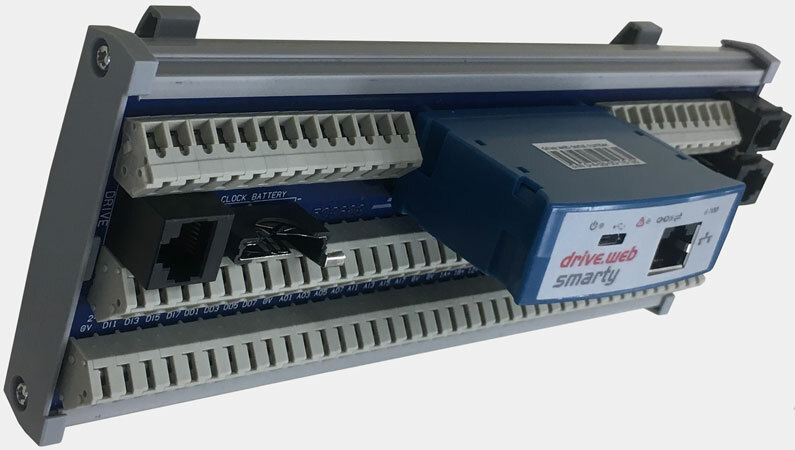 High speed event inputs for position markers and registration. 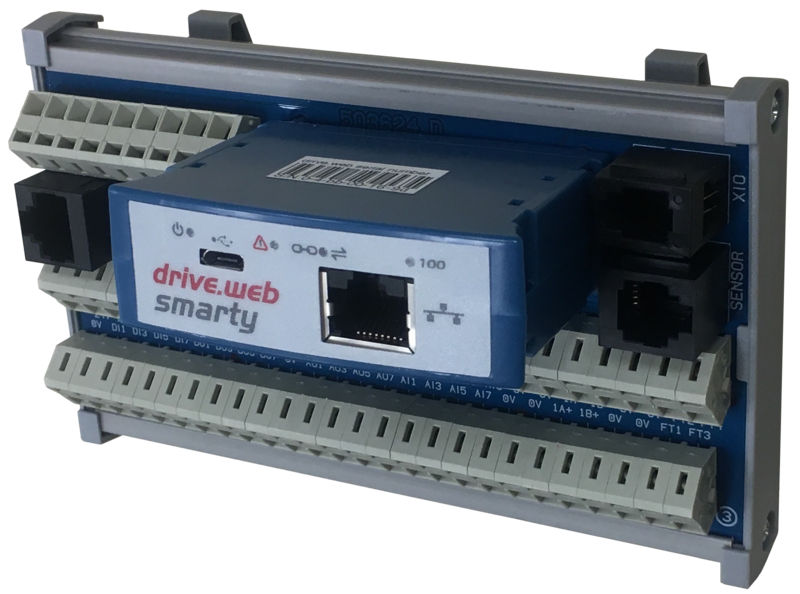 Processing and networking speeds that are up to 10 times faster than the dw210, especially with larger configurations. Increased storage; four times more capacity. 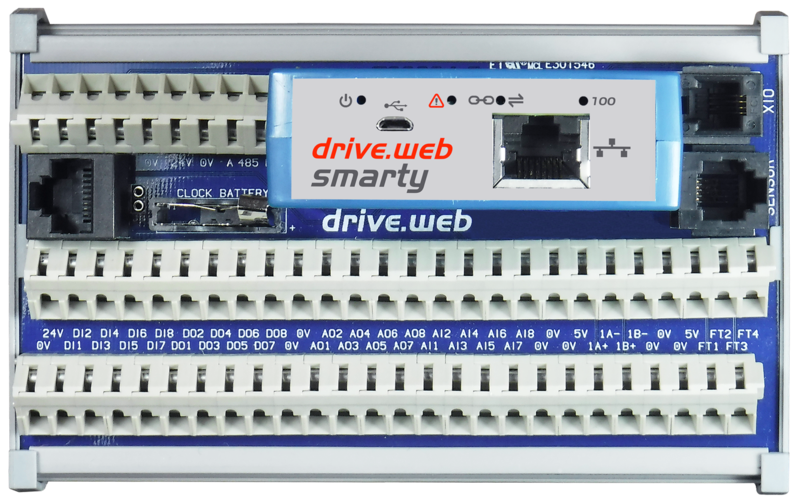 Up to six frequency inputs with multiple modes. Up to two current inputs; 0 to 20mA, 4-20mA. 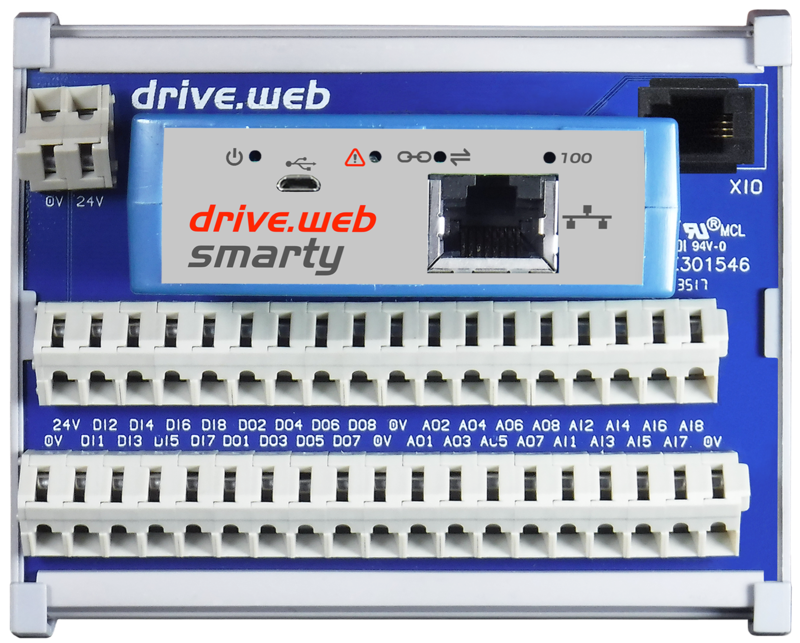 Up to two encoder inputs. Up to seven timing outputs with multiple modes to 500kHz; frequency, stepper, and digital. 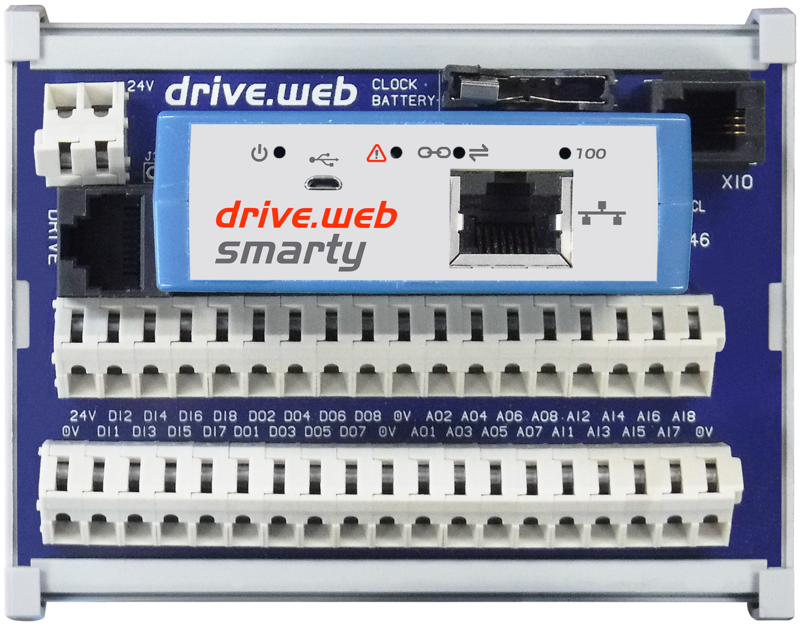 Real-time clock with optional battery back up. 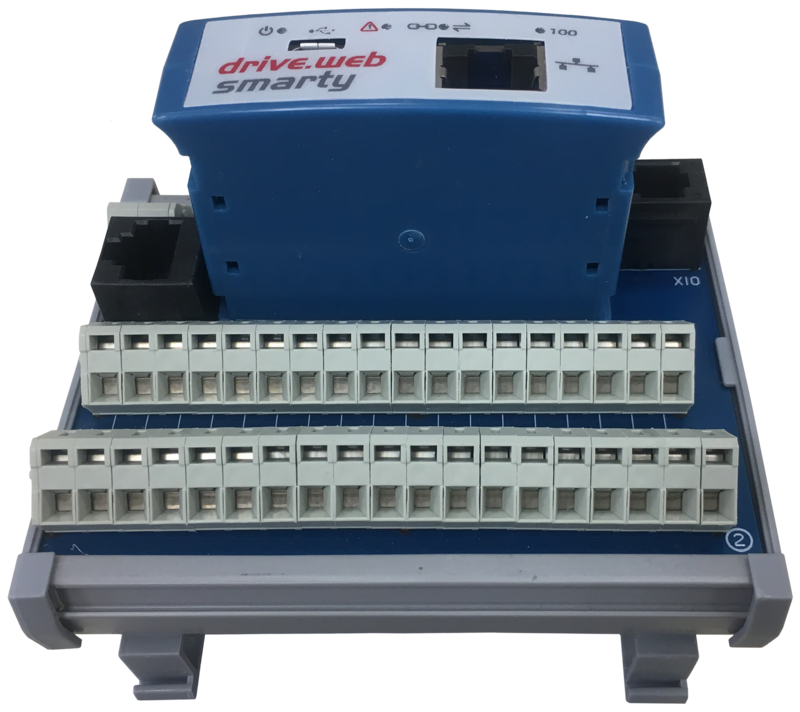 Low-power mode allows real time clock to run without power from coin cell battery, USB power, or 24-hour internal storage. 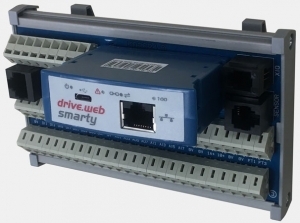 Sensor bus for large, smarty-dedicated networks to be announced. XIO, Extended I/O port for up to 10 fast-updating modules with up to 16 I/O on each. 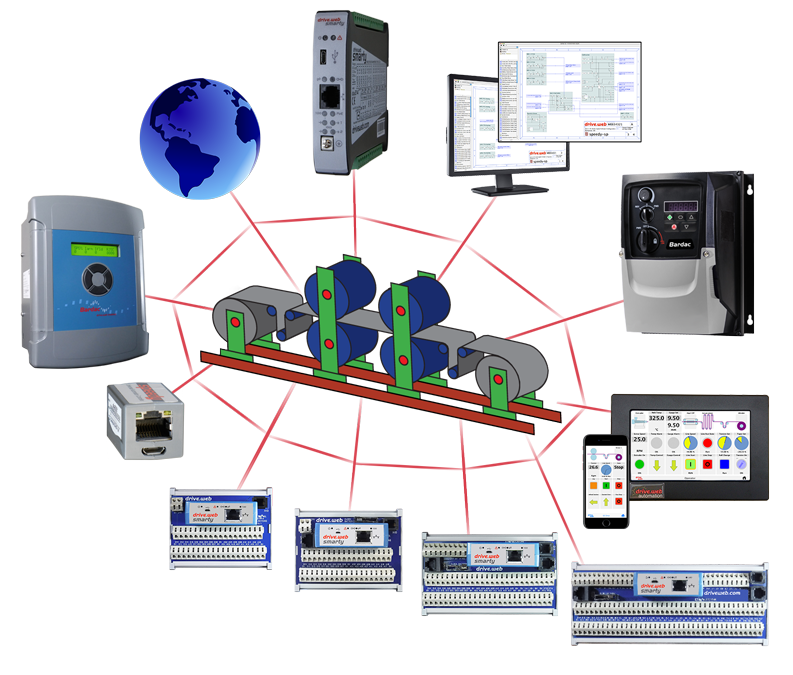 Modules for high current, high voltage, precision analog, load cells and more are planned. 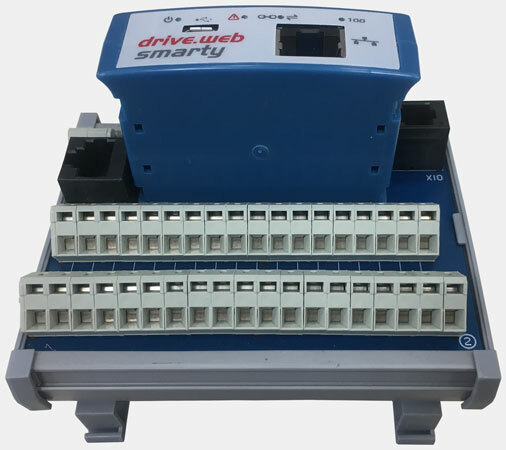 The NEW smarty dw240 series controller consists of a “cassette” that connects directly to system field wiring via four alternative, passive “terminal carriers”. This means big installation savings! 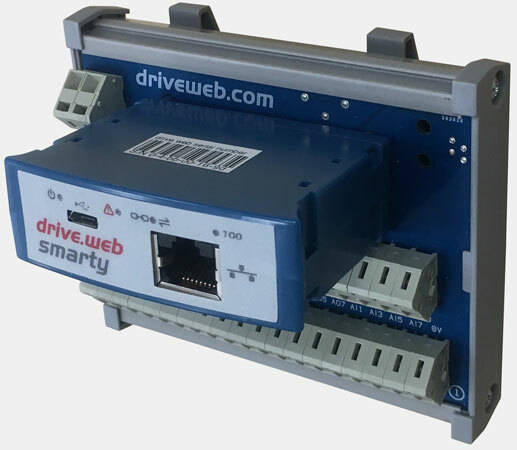 Advanced Universal Automation Controller – 103 Terminals – with encoders, steppers, and more! For the time being, please visit the Bardac website for dw240 downloads. 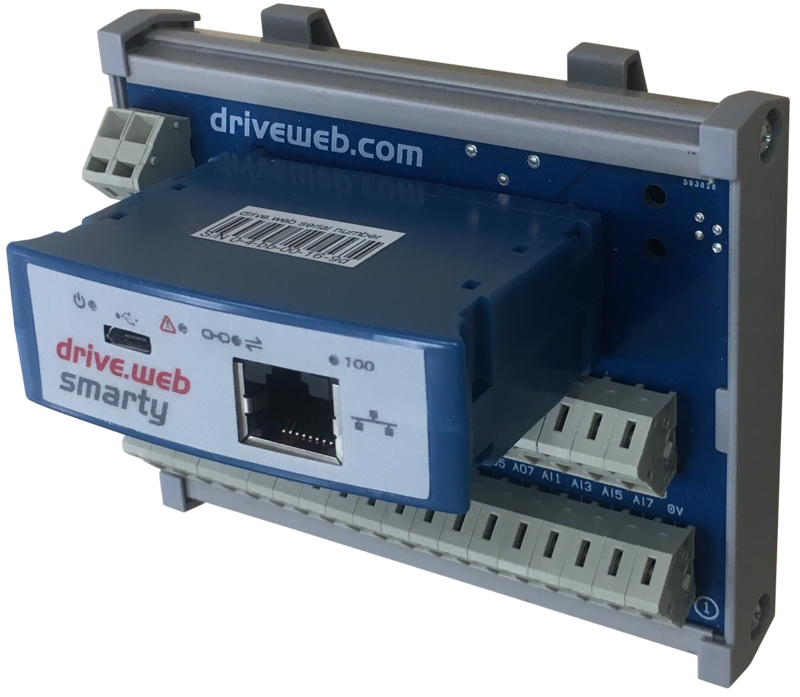 One completely homogeneous environment for drives, controls, operator stations, i/o – everything! Easy interface to most operator stations, PLCs, SCADA, etc. For iPad, iPhone, and touchscreen PC operator stations with arrows, meters, start and stop pushbuttons. Used for all programmable control, peer-to-peer Ethernet networking and system integration tasks.